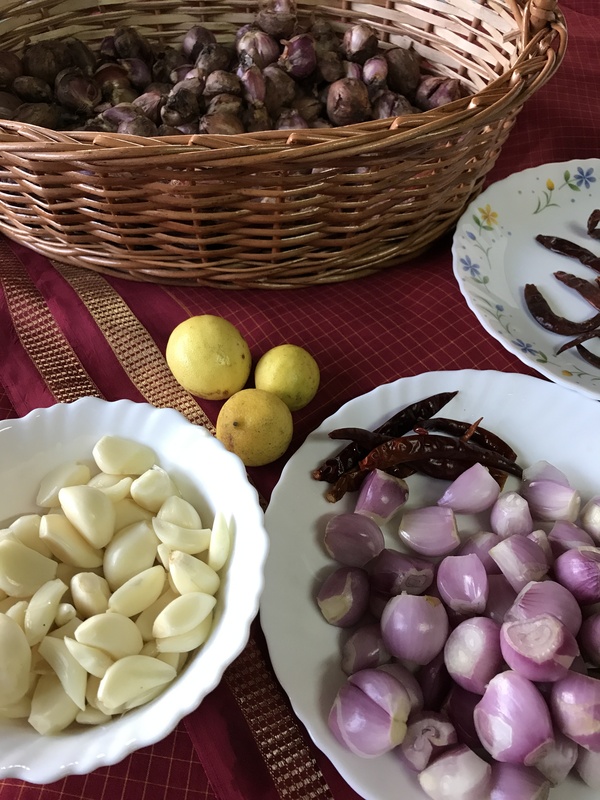 This post is a tribute to the almost nonagenarian, my 89 year old grandmother-aachi, whose kitchen I peeped into as a kid. It has been a beautiful journey of love, love and love alone – millions of life’s lessons learnt from thousands of chatting sessions. The soft yet strong hands have produced en-numerous delicacies with tonnes of affection. I see those soft hands that have turned wrinkled and bony… and realize life’s harsh truths. The truth of aging, might not be as bad as I sound.. as we learn the art of aging graciously. But seeing our elders age is certainly one among the severest truths. But.. the joy of having aachis/grandmothers to tell you stories and admire your children is certainly a boon. When I see my little daughter enjoy the company of Pooti Aachi/Great Grandmother and play several games, I am astonished by the connect of an almost ninety year old with a nine year old and also the other way round! The passion to connect can well be understood by today’s generation of social networks. This is a great connect, that needs no wi-fi. This is the generational link that passes through four generations of interdependent relationships. Quite amazing..truly no words to express. 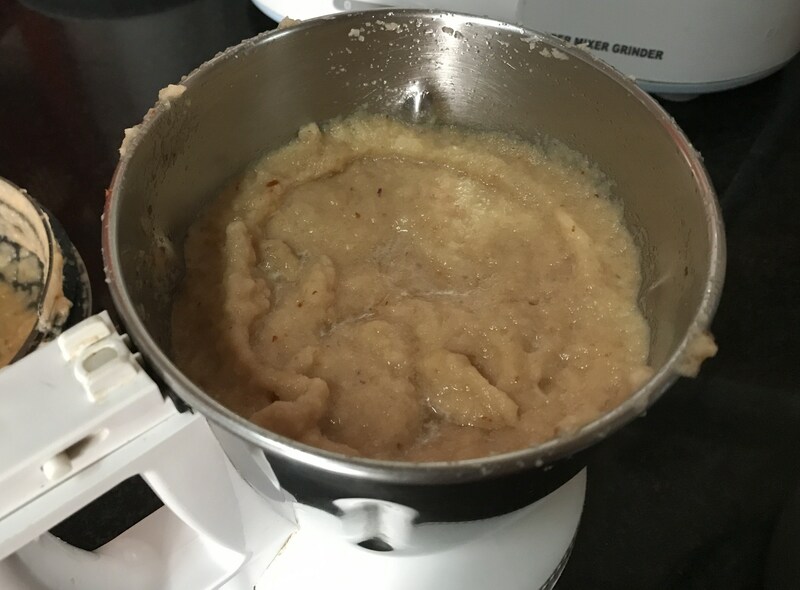 This is yet another trademark Aachi’s recipe. 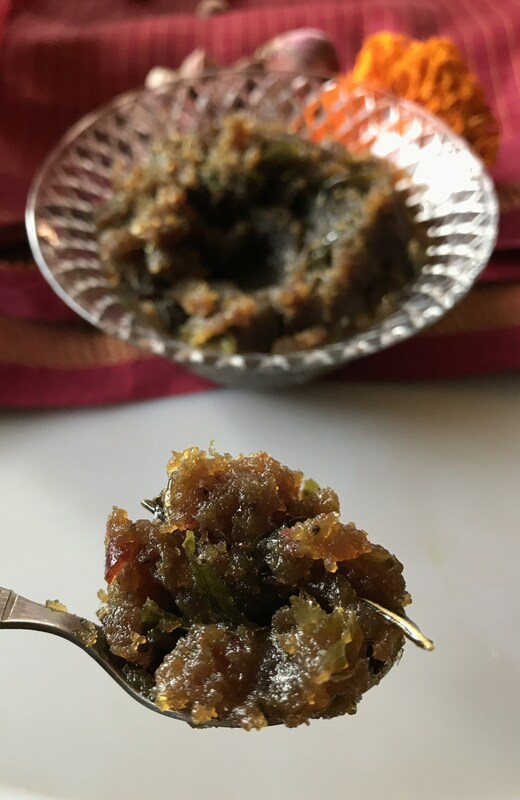 This storable Onion Chutney is simply the best of chutneys and a great preserve. It can be stored for weeks without a refrigerator. 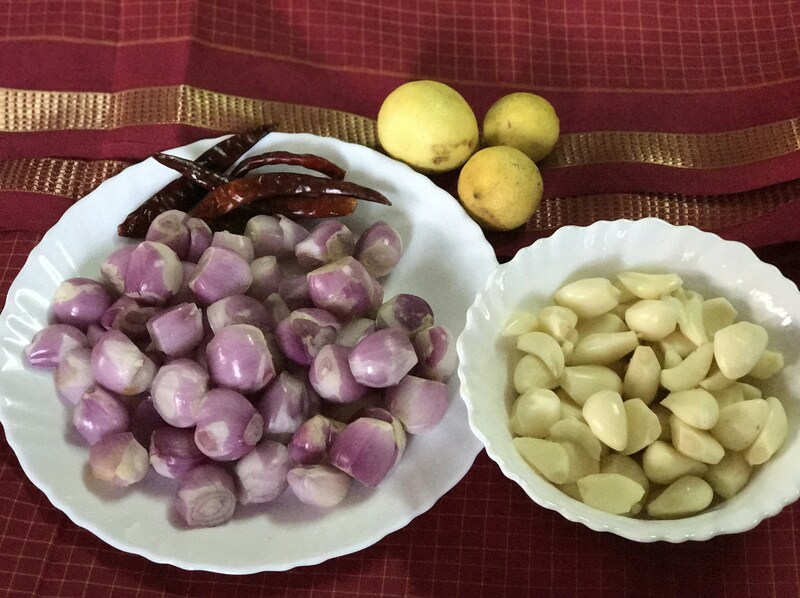 But.. brush your teeth before meeting people.. these are onions and garlic. Due to old age, pooti aachi/great grand ma doesn’t make it anymore. 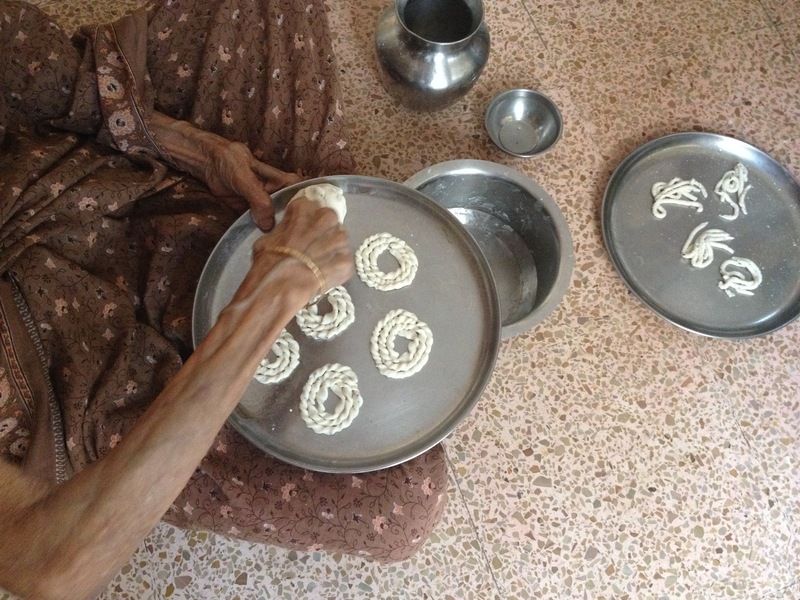 It is made by her daugther-in-law – Amma who has been making this for decades now. But, aachi insists to stand behind to guide, so that nothing is missed. Such emphasis on perfection… certain traits of old age one can’t avoid, I suppose. 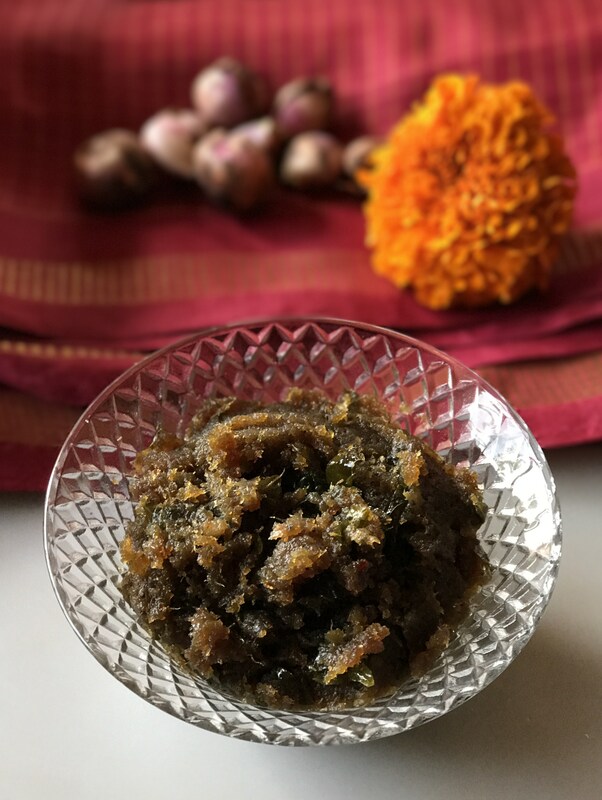 Though Amma makes the same Great Grandmother’s Onion Chutney to perfection, but she needs to wait a few more decades to earn that name- ‘Pooti Aachi’ and the chutney to be named after her. So, this post is completely in admiration of that Grand Lady of True Affection, whom I always long would stay with me forever. 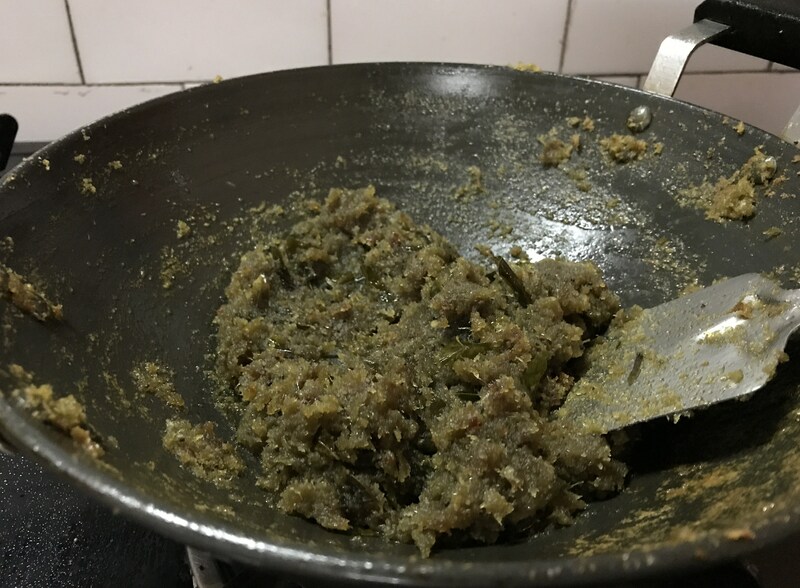 The chutney is a very simple one, that involves patience and care… the same qualities that I respect my Aachi for. 8. 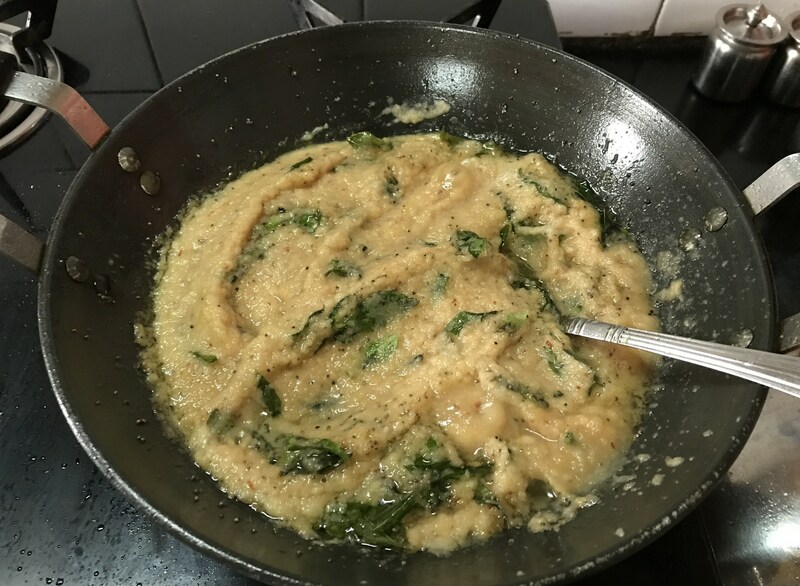 Then, simmer again and let this mixture cook well – it would take at least 20 minutes to reach a thicker consistency. 12. 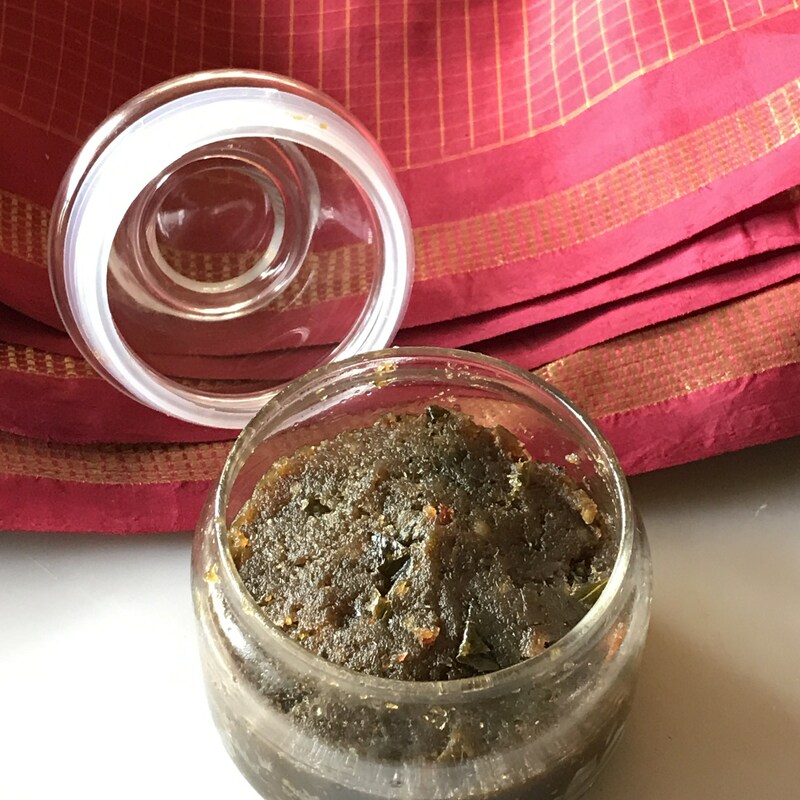 Once the lemon juice is incorporated, we can notice the colour change in the thuvayal from brown to black. 15. 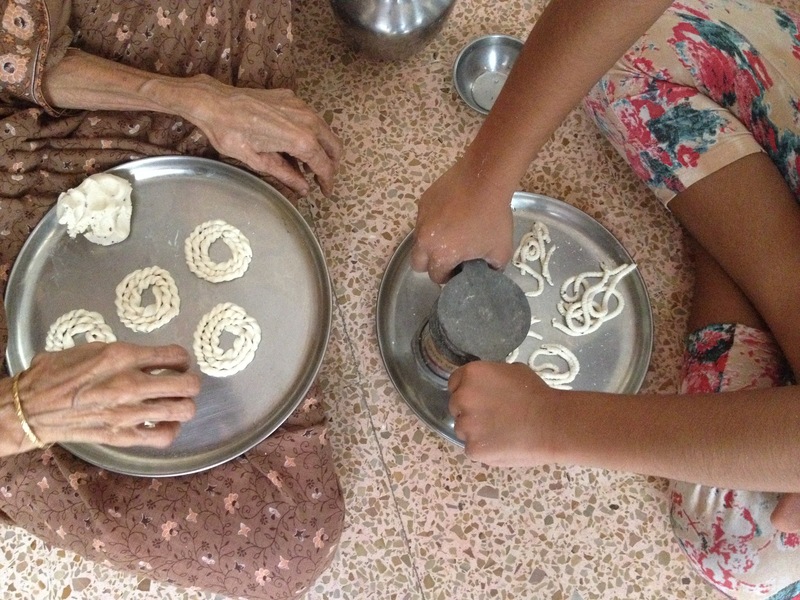 Enjoy with all kinds of Idlies and Dosais or even breads and rotis…why not! !